You’re finally a dental student, congratulations! Now the next step–getting that dental degree. There will be many hoops to jump through before you receive your doctorate. Let’s set you up for success early and give you a rundown on what to expect both clinically and didactically during your years as a dental student. Standard curriculum includes basic sciences such as anatomy, biochemistry, pharmacology, microbiology, etc. These will be tested on the first board exam (NBDE part I). 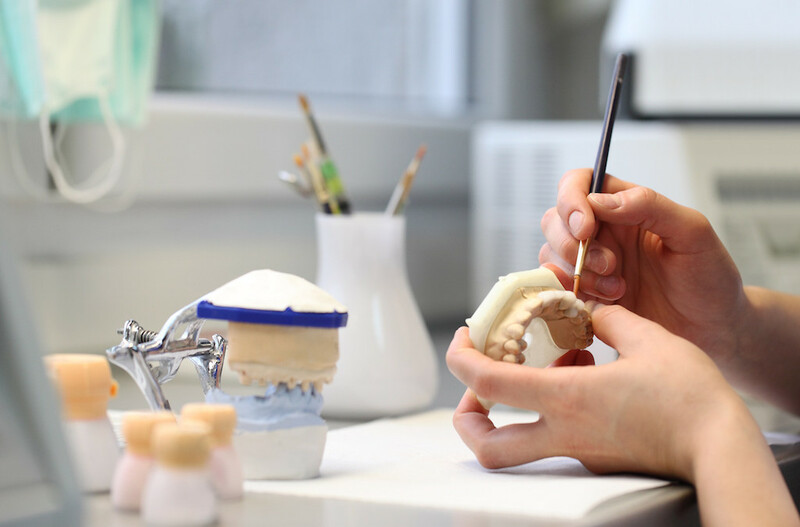 Students are also exposed to introductory dental classes including dental anatomy, head and neck anatomy, cariology, evidence based dentistry, etc. On the pre-clinical side, students will enter the simulation lab to wax-up teeth to supplement the dental anatomy didactic class. Hand skills for certain dental procedures will also be taught in the sim lab. Anatomy labs may involve dissecting or viewing models to learn head and neck anatomy (and sometimes gross anatomy). While some schools frontload the basic sciences so students can take NBDE part I in the summer after D1, some schools wait until D2 has been completed. If a school waits until after D2 for students to take the NBDE part I, then the basic science curriculum will continue into year two. Added to the curriculum will be introductory dental classes (restorative, endodontics, periodontics, pediatrics, prosthodontics, oral surgery, etc). More advanced hand skills will be developed in sim lab classes to complement the didactic knowledge gained. For most schools, before a student is allowed to officially enter clinic and actively treat patients, he or she will need to have completed NBDE part I (pass/fail exam). Providing patient care will be half of the student’s responsibilities. The other half will include the continuation of dental classes and added clinical rotations. Rotations may be within the dental school in different specialty departments or outside the school at a partnering hospital or clinic. Most schools will also require or encourage externships where a student can provide dental care under a supervisor in an off-site clinic. Externships may also be a chance for a student interested in specializing to spend time with residents and faculty of that specialty in different institutions. The application cycle will open at the end of the D3 for those interested in pursuing post-graduate training as a general dentist or specialist. During the transition from D3 to D4, most students will be taking NBDE part II. Part II (pass/fail exam) tests students on their clinical knowledge of dentistry. As such, D4 students may not have required coursework aside from practice management classes or other projects. The D4 schedule allows for dental students to treat patients full time (usually between 2-4 patients a day). Certain clinical requirements and competencies will need to be met for a student to graduate. When early January rolls around, most students will have been notified of their acceptances to post-graduate training programs. During the last semester/term, clinical boards (live patient treatments to be evaluated by on-site examiners) are taken in order for students to gain licensure and practice in certain states. The last few months leading up to graduation may also be prime time for job hunting for those who plan to work as general dentists right after graduation. Although each dental school is different, most follow the described curriculum. Best of luck to all incoming dental students!